Ace mountaineer from Arunachal Pradesh, Anshu Jamsenpa is keen to promote mountaineering as an adventure sport in Nagaland. The Arunachal mountaineer was in Dimapur, on Friday with members of Guwahati-based Skyrim Panacea Adventure Club to explore such a possibility. She made waves in 2017, when she climbed Mount Everest twice in five days to become the first woman mountaineer in the world to achieve such a feat. The mother of two wants to promote mountaineering. Before she became a mountaineer, she was a trekking guide in the Himalayas. In 2010 she scaled Mt. Nepal Peak (23517 ft) in September following her training. This was followed by two consecutives successful ascent to Mt. Everest in May the following year. Her first two summits to Everest took place in a space of 9 days; the first on May 12 and May 21. 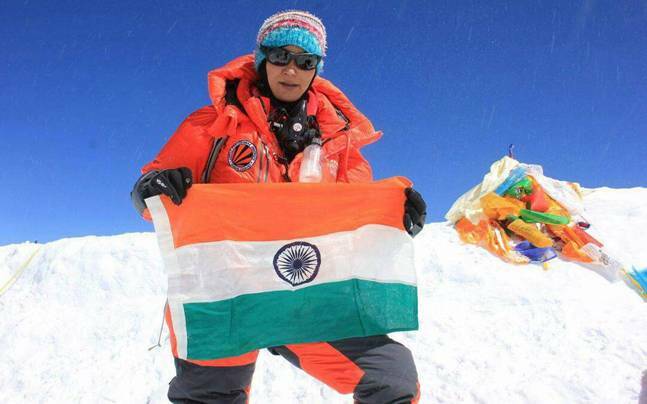 38-year-old Jansempa is also the first woman from India to scale the tallest mountain on Earth five times. She is credited with 13 successful expeditions in a short span of seven years, reports Morung Express. Skyrim’s CEO Santosh Mishra said that it is exploring the idea of a mountaineering institute in Nagaland provided it gets the opportunity and would welcome collaboration with the state government. Mishra said that mountaineering as a sport besides inculcating the spirit of adventure also creates awareness of the environment and also promotes adventure tourism.